Become a part of DorSAR. Our next recruitment opening will be in Summer 2019. Please contact our Membership Secretary (click here) if you would like to register your interest. DorSAR is always ready to welcome new operational members. Working on the ethos that the more trained Searchers DorSAR can deploy the better the chance of a quick successful outcome. If you are interested in becoming part of the team, are reasonably fit (as a guide you will be required to complete a basic fitness assessment involving a 5 mile walk over varying terrain within 2 hours), are available for an acceptable proportion of the day (DorSAR provides 24/7 cover) and are willing to contribute 5 to 10 hours a month to maintain training, then we would love to hear from you. Previous Search & Rescue experience is not necessary as you will be expected to train alongside of our Operational Members before attending a Search Technicians Training Course (currently run in a modular way over a few months). In addition training to a minimum Basic level will be provided in First Aid, Radio Communications, Navigation, Working Near Water and Tracking, with opportunities in each of these competencies to progress to more advance levels. 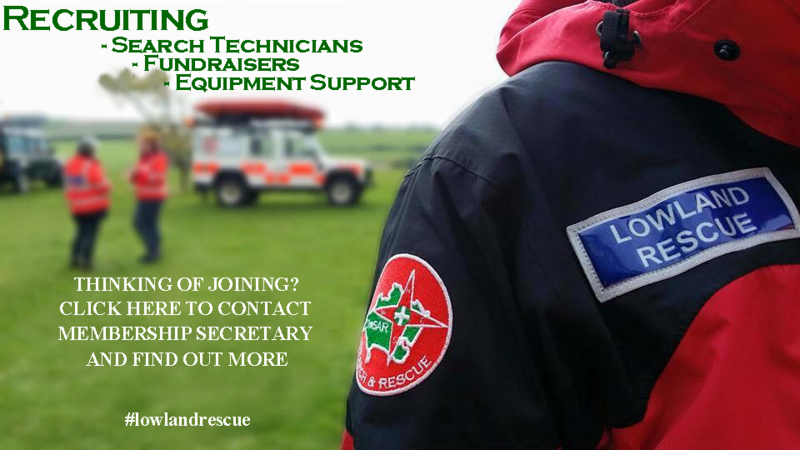 We are currently recruiting for our 2019 Training Cohort, we start now to ensure vetting and other membership requirements are completed in time for the start of training, to give you a chance to get to know 'The Team' and familiarise yourself with SAR terminology. For more information please make arrangements through our Membership Secretary, who will be delighted to make arrangements for you to 'work alongside' and see what we are all about. If you have recently moved into Dorset and previous experience with another ALSAR or MR unit, DorSAR would be delighted to hear from you. For more information please make arrangements through our Membership Secretary, who will be delighted to make arrangements for you to visit us and see what we are all about. If Operational Membership is not for you but you would like to play your part. Being a purely voluntary organisation all of our running costs have to be paid for by monies raised through sponsorship and fundraising. This essential function is carried out by our PR Support Team who are delighted to recruit new members to their Team. In simple terms the more PR Team members the greater number of events that can be attended. If you are interested in joining the PR Support Team then speak to us at one of the events our PR Team is attending (See PR News Page) or drop us a line from our Contacts Page entering "PR Support Recruitment" in the subject Line. We have equipment of many types including vehicles. This is particular area where we need ongoing support. If you have a skill in this area and would like to play your part, we would be delighted to have you on board.